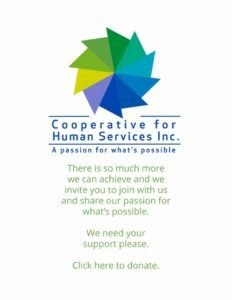 You can ‘Share our Passion for What’s Possible’ and contribute to building community services for individuals in over 40 cities and towns in the Greater Boston, North Shore and Metro West. Partner with CHS for great experiences and tremendous personal reward too! Volunteer your services, time and expertise. Share your talents, interests and hobbies. Refer a friend or family member. Support a new recreation, social or sports activity. Help us maintain our homes and gardens.